MAMEM was demonstrated at the 10th Panhellenic Conference on Alzheimer’s Disease and Related Disorders and 2nd Mediterranean Conference on Neurodegenerative Diseases which took place in Thessaloniki, on 2-5 February 2017 at the Grand Hotel Palace. The Panhellenic Institute of Neurodegenerative Diseases, in cooperation with the Greek Association of Alzheimer’s Disease and Related Disorders organize this meeting of top scientists from Greece and around the world, at the fertile ground of a Conference, which for sixteen years informs and educates health professionals, neuroscientists, clinicians, patients and caregivers. The arrival of hundreds of speakers and many more participants demonstrates that the contact of all the scientists involved in neurodegenerative diseases by analyzing the causes and seeking treatment, or by serving the patient and the caregiver, is not only necessary for progress in all scientific fields, but also desirable. Nearly 500 neuroscientists, health professionals and clinical researchers of the world gathered to learn about the latest progress in Alzheimer’s Disease and other neurological related disorders such as Parkinson’s disease, Multiple Sclerosis etc. Patient Organizations, Regulators, Companies and Clinicians were present to update the community for the latest research and technologies. 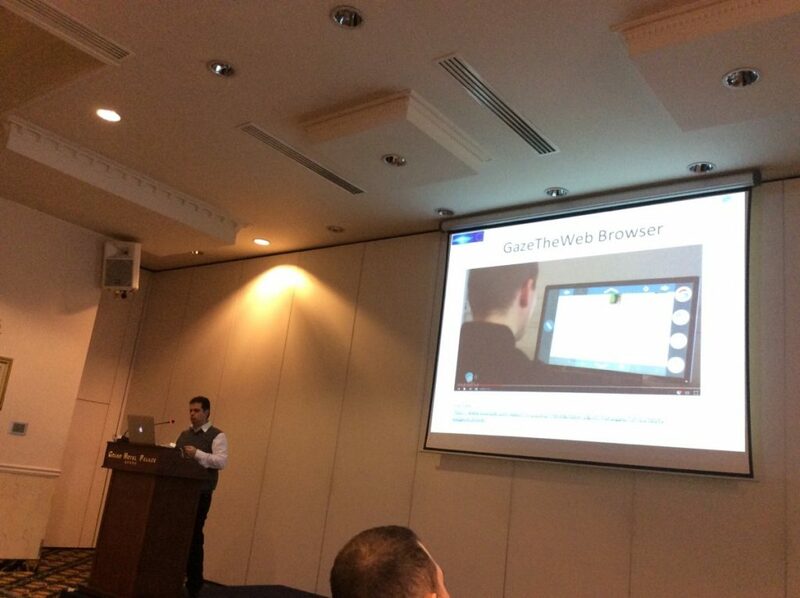 MAMEM’s prototype GazeTheWeb, which allows hands free Web navigation, was demonstrated at a specific session “New Technologies for Neurological disorders”. Attendees as well as other professionals found GazeTheWeb a useful and novel approach for a successful interaction with Web.